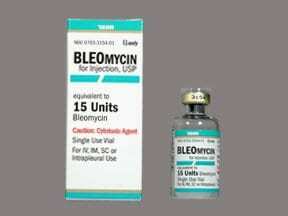 Who should not take Bleomycin SULFATE Vial? 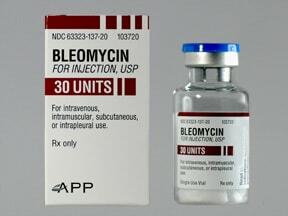 What conditions does Bleomycin SULFATE Vial treat? Tell your doctor right away if you have any serious side effects, including: dizziness/fainting, fast/pounding heartbeat, numbness/tingling, feeling of coldness in hands/feet, easy bruising/bleeding, pale/bluish skin, coughing up blood, vomit that looks bloody or like coffee grounds, signs of infection (e.g., persistent sore throat), signs of kidney problems (such as change in the amount of urine, pink urine), mental/mood changes (e.g., confusion, aggression), persistent nausea, stomach/abdominal pain, dark urine, yellowing eyes/skin. Get medical help right away if any of these rare but very serious side effects occur: weakness on one side of the body, vision changes, slurred speech, chest pain. A very serious allergic reaction to this drug is rare. However, get medical help right away if you notice any symptoms of a serious allergic reaction, including: confusion, rash, itching/swelling (especially of the face/tongue/throat), severe dizziness, trouble breathing. List Bleomycin SULFATE Vial side effects by likelihood and severity. Before using this medication, tell your doctor or pharmacist your medical history, especially: immune system problems (e.g., chemotherapy, bone marrow problems), kidney disease, liver disease, lung problems. What should I know regarding pregnancy, nursing and administering Bleomycin SULFATE Vial to children or the elderly? 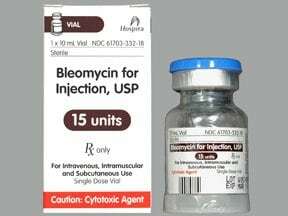 Some products that may interact with this drug include: brentuximab, digoxin, drugs that may harm the kidneys (e.g., aminoglycosides such as gentamicin, cisplatin), phenytoin. 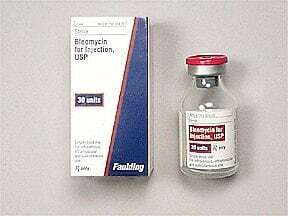 Does Bleomycin SULFATE Vial interact with other medications? 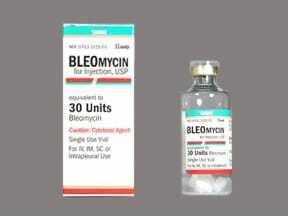 Are you taking Bleomycin SULFATE Vial? Are you considering switching to Bleomycin SULFATE Vial? 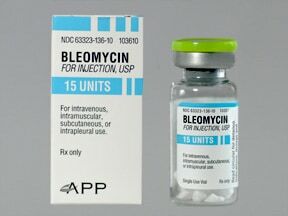 How long have you been taking Bleomycin SULFATE Vial?